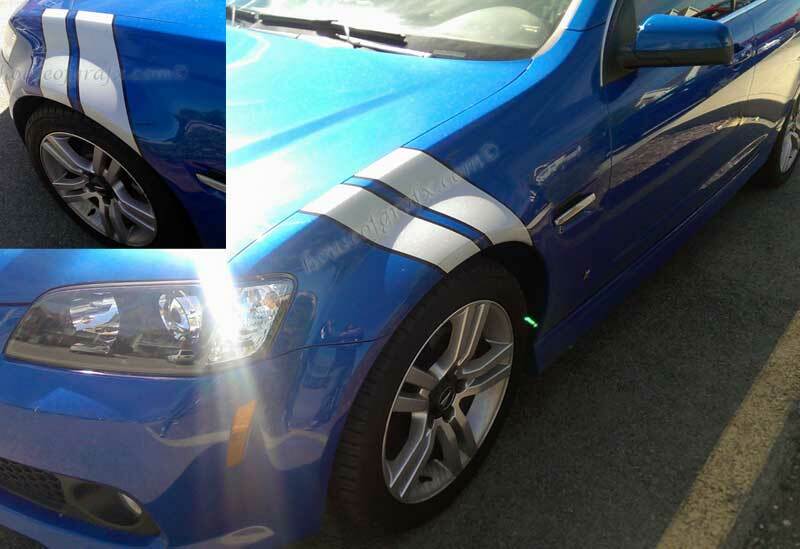 You will receive a pair 2 color stripes for both fenders of your car. Super easy to install and will look amazing! Minor trimming is required, or you can wrap the material around your fenders instead. Color 1 will be the main color. Color 2 will be the outline color.